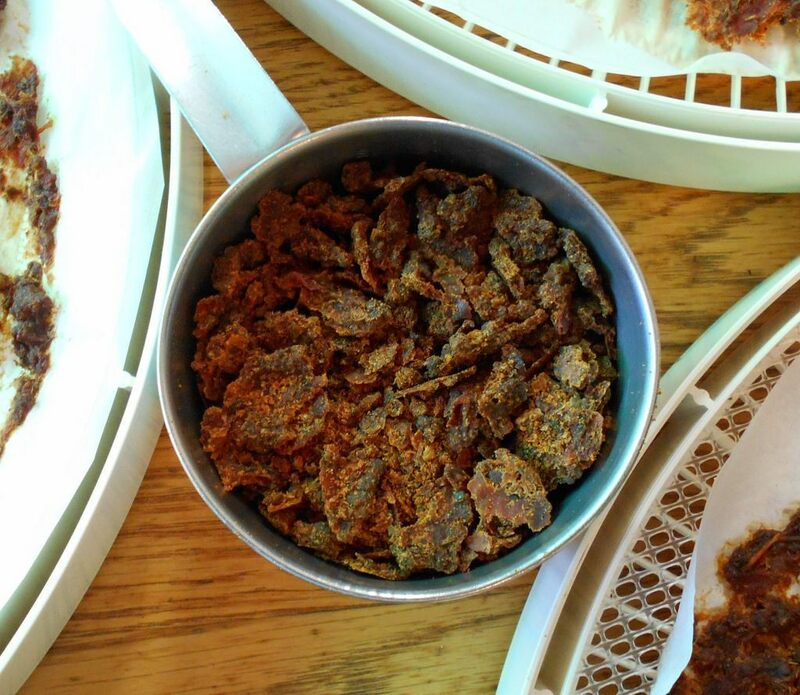 Ski is a fellow PNW hiker, and he generously shares his dehydrating recipes with us. This is a big recipe, but if you like to dry food for a season, this is a great one! Grind all the herbs and spices (except the fennel seed) in a mortar and pestle, to bring out their full flavors. Brown the sausage with the fennel seed until brown. Cook it down to “hockey puck stage” to get as much fat out of it. Drain on paper towels to remove excess fat. Brown the ground veal. It doesn’t seem to “brown” much, but will be cooked. Drain veal on paper towels to remove as much fat as possible. Heat a large pot, and add a little olive oil. Saute the onions until soft, then add the garlic, celery, carrot, herbs and spices. Simmer for four hours until thick. Then spread 1½ cup portions onto parchment paper lined trays, and load the dehydrator. Dehydrate 14 hours at 135º F, or until fully dry. Each 1½ cup portion yields about ¾ cup dry product. The net yield on this batch was ± 18 cups, or 12 individual portions dry. To rehydrate add 1 cup boiling water, let hydrate for 10 to 15 minutes. Add up to ½ cup boiling water as needed for desired thickness. Serve over pasta (4 ounces pasta is a good size for most adults). 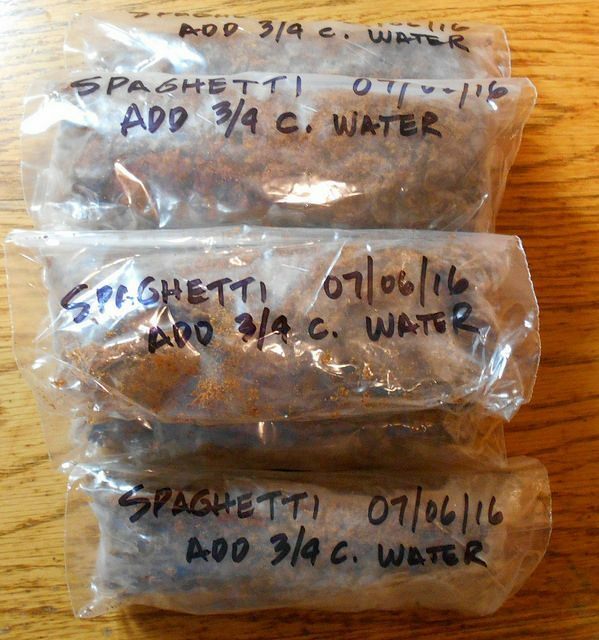 To save time, consider using our dehydration method for pasta as well! For best results, always store dehydrated meat items in the freezer till trip time, and use up within 3 months time.